Join us on a Goodwill Works Tour! 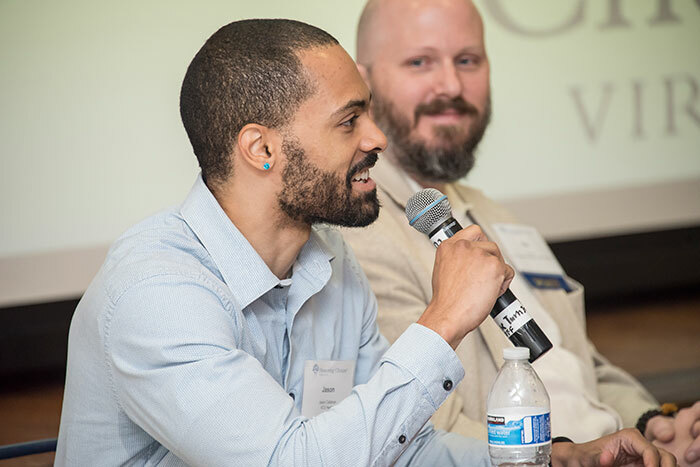 See first-hand how Goodwill empowers individuals through employment and produces economic impact in the Greater Richmond region. 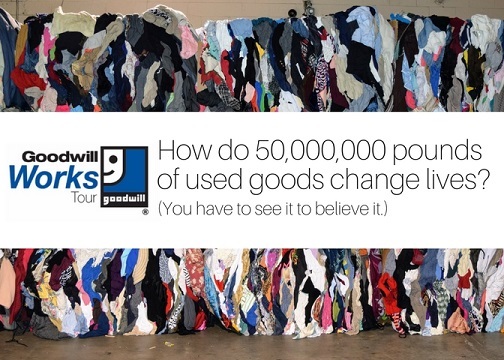 The one-hour Goodwill Works tour is the most tangible way to learn how Goodwill refurbishes, recycles or resells everything from electronics to clothing and medical equipment – keeping nearly 40 million pounds from entering local landfills annually. On the tour, you will hear from Goodwill leaders about how our work is transforming lives through the power of work. Boxed-lunch provided. TOURS ARE FREE BUT REGISTRATION IS REQUIRED AS SPACE IS LIMITED. We look forward to showing you how Goodwill works. Thurs., Apr. 18, 12:00 – 1:00 p.m. Thurs., May 16, 12:00 – 1:00 p.m. Thurs., June 20, 12:00 – 1:00 p.m.